Which tent is better? The Big Agnes Copper Spur 1-Man Tent? 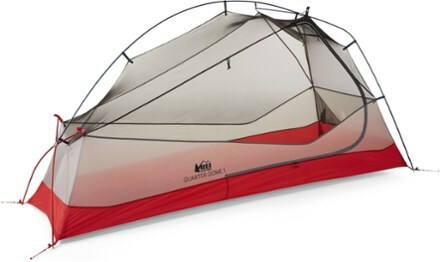 Or the REI Quarter Dome 1- Man Tent? In this review, I set out to discover which tent is better – the Big Agnes Copper Spur HV UL or the REI Quarter Dome 1-man tent. These two tents are extremely similar in design. Both are freestanding 3-season tents with a large, well-ventilated mosquito netting interior; a single side door entry; and a waterproof, nylon rain-fly exterior with vestibules in the front and back of the tent for storing your gear, shoes, etc. While the similarities are striking, there are some differences in the pack size, weight, interior space and overall cost of these two tents. Completely redesigned, the REI Co-op Quarter Dome 1 tent pairs new architecture with rugged, lightweight materials, resulting in a 1-person backpacking tent that's amazingly roomy and easy to set up. Pack Weight: 2 lbs. 14 oz. The full-featured Big Agnes Copper Spur HV UL 1 tent is designed with a high-volume hub to maximize strength and increase living space without adding weight. Packs down small but roomy inside. Pack Weight: 2 lbs. 8 oz. If you watched my video review of the Big Agnes Copper Spur HV UL, you’ll know that I praised this tent for being small and lightweight when it’s packed up, but spacious on the inside once you have it set up. This makes your time on the road a whole lot more comfortable. Not only are you carrying a smaller and lighter tent on your back or in your bags each day as you travel, now you’ll no longer feel trapped inside your tent on a rainy day. The Big Agnes Copper Spur’s biggest selling point, in my opinion, is that it’s not only one of the smallest and lightest 1-man tents on the market today, but it’s big enough on the inside to make you feel at home when you’re out there on the road. 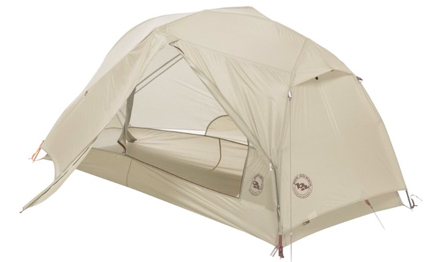 On the other-hand, the biggest selling point of the REI Quarter Dome tent might just be its price. This ultralight tent is well-constructed and extremely similar to the Big Agnes Copper Spur (which I would argue, is in fact the better tent of the two). The REI Quarter Dome isn’t as compact or as lightweight as the Big Agnes Copper Spur, and it’s not nearly as roomy on the inside, but if you want to save yourself over $100 on a tent that is extremely similar to the better Big Agnes Copper Spur, the REI Quarter Dome is an excellent choice! 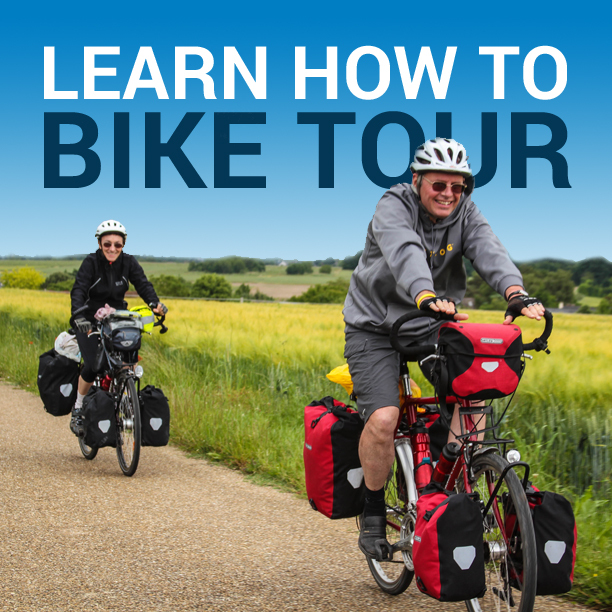 This entry was posted in Bicycle Touring Pro Articles, Featured Articles, Main Articles, Main Featured Articles, Product & Service Reviews, Tents, Uncategorized, Videos and tagged 1-man tent, backpacking tent, best tent, bicycle touring tent, big agnes, copper spur, quarter dome tent, rei, rei quarter dome, rei tent, tent, tent comparison, tent review, Tents, ultralight tent. Thanks Darren! But I was thinking why not the Big Agnes Flycreek UL2? it’s lighter than these 2 (2lbs 5oz), roomier (28 sqf), and cheaper than the Copper Spur ($349). I’ve been using it for bike touring and bikepacking and it is absolutely the best tent I ever had.